100 Years of Roca | 100 Years of Design is a year-long initiative at Roca London Gallery that will celebrate Roca’s centenary. This exciting campaign will incorporate a number of activities, including two exhibitions and several events, tracing Roca’s journey from its origins in 1917 as a family workshop in Barcelona, to becoming a global bathroom company. This first exhibition at Roca London Gallery explores the dynamic connection between marketing communications and the evolution of Roca. It offers a unique insight into how the brand has not only captured the mood of the times, but has also progressed and adapted over the past 100 years in line with changing attitudes, lifestyles and needs. A second centenary exhibition opening later in 2017 will focus on Roca’s product design history. Visitors can follow an informed and insightful path through the extensive Roca archive, curated and displayed here for the first time, depicting a rich panorama of historic advertising, publications, photography and design material. 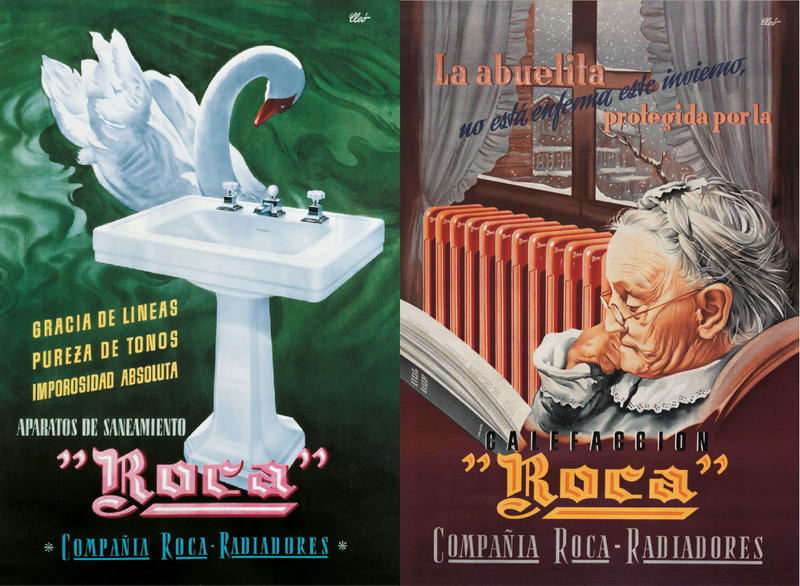 These reflect the emergence of Roca as a global brand and also mark the bathroom transformations that took place in this era as a result of functional and spatial trends, hygiene habits, new materials, technologies and the major social, economic and political moments of the last century.